Our pantry is tiny. This is probably for the best since I tend to keep stuff long after it's usefulness has come & gone. 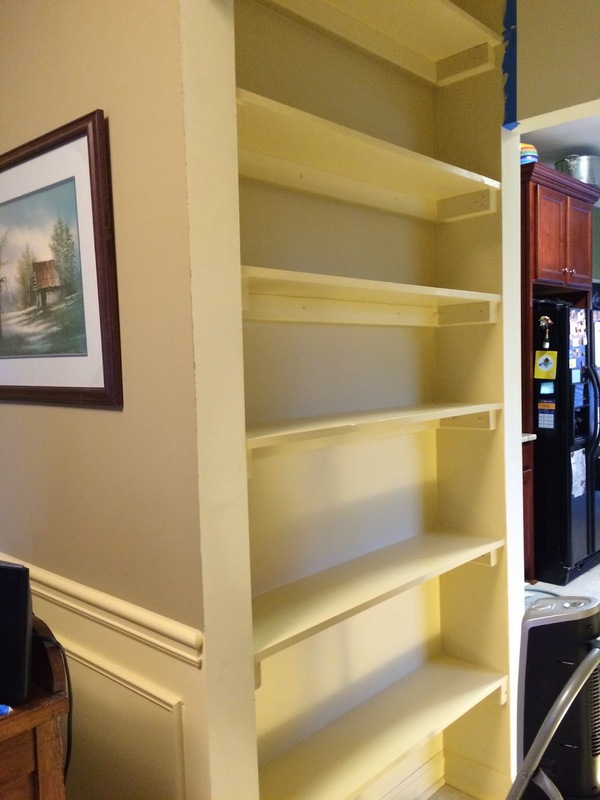 However, I wanted extra space to store things that usually end up as counter clutter. 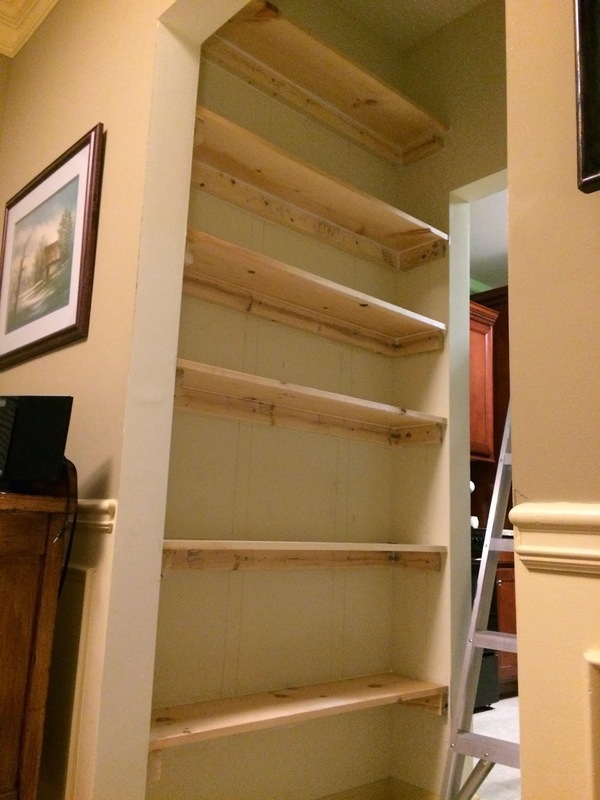 For several years, I compromised with an inexpensive wooden shelf I purchased from IKEA. It did the job well, but it wasn't quite wide enough for the space (and it was a bit too deep). 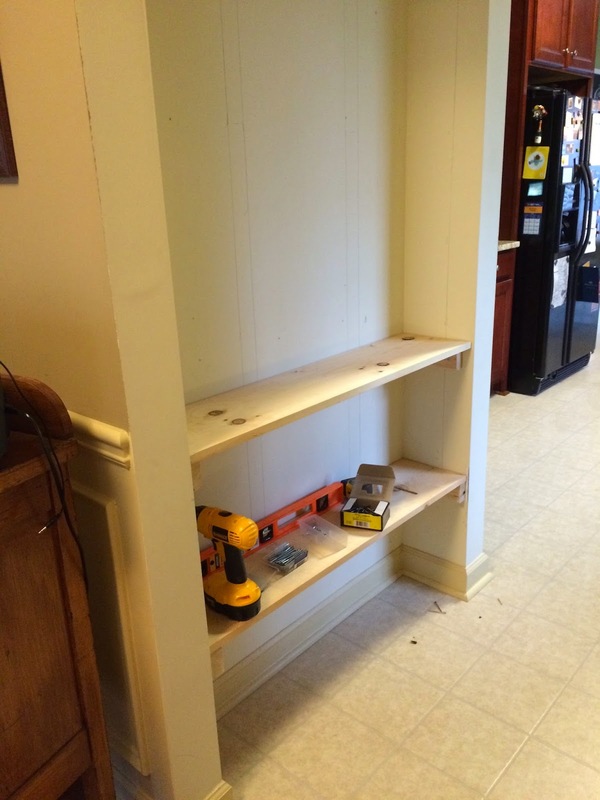 I mean, what is the purpose of this tiny nook besides built-in shelves? Here it is from our library. I measured the width & depth of the nook. 41 1/2 inches x 9 inches. For the supports (which I screwed into the studs) I used 2x3s. 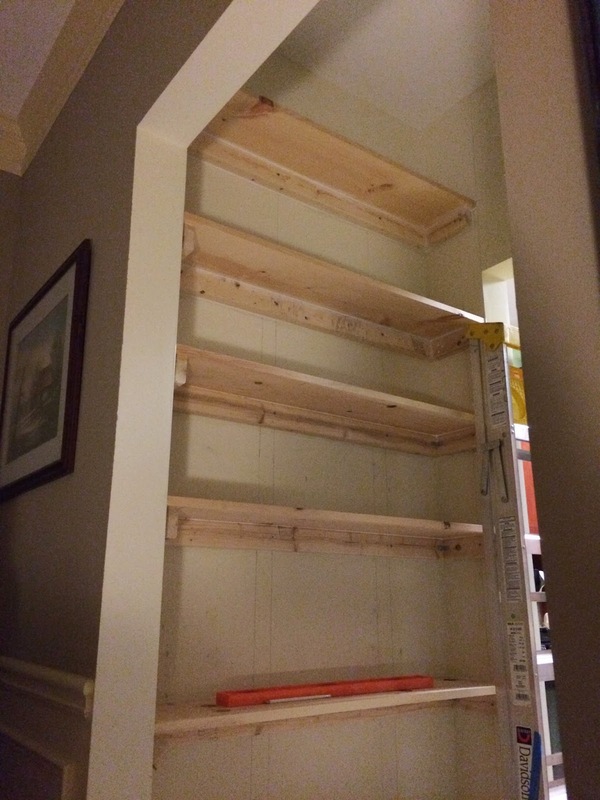 I originally planned to construct & screw the 2x3 supports before attaching them to the wall (in a 'C' formation), but this didn't work out because my walls are not entirely plumb. Instead, I attached the back support to the studs (you can see where I marked the studs with pencil after using the stud finder) and then attached the two side supports. I could only find 1 stud for the side supports, so I added some additional support in the form of L brackets attaching the sides to the back support. Notice the tiny L brackets & my pencil stud lines on the wall. The first one was the hardest. I had a mini-meltdown & gave up for the night. The next day was so much easier! I couldn't wait to put on the first shelf board. I cut my shelf board (1x10) to be a little over 41 inches. 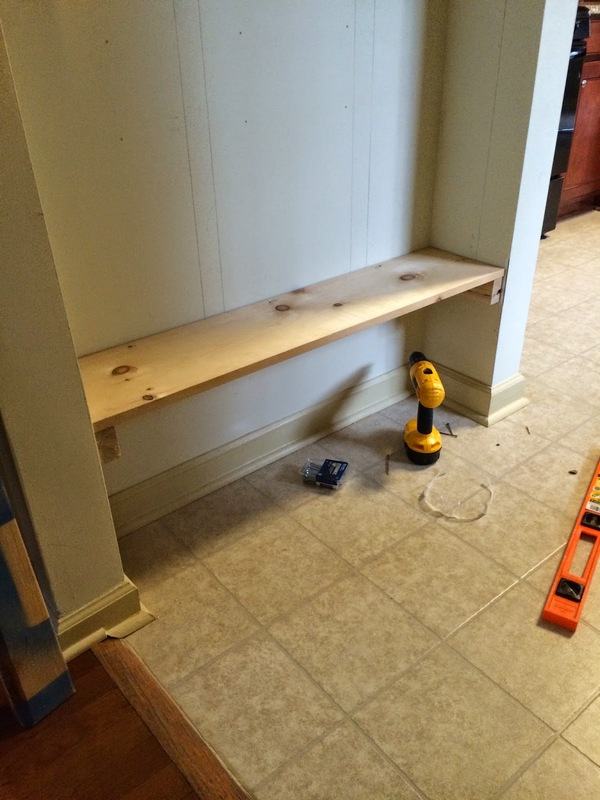 I was okay with a little bit of a seam between the board & the wall because I planned on caulking all of the joints. 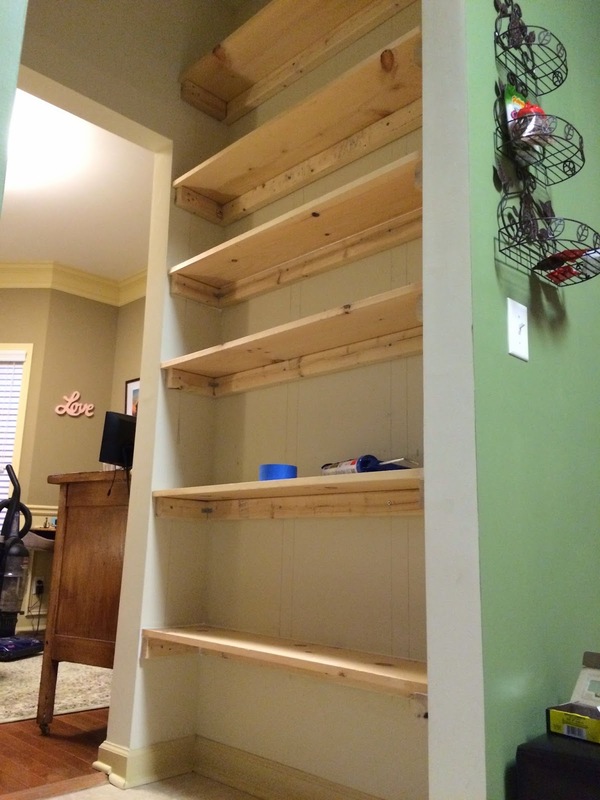 To save time & effort, I nailed the shelves to the supports, although screws are an option as well. 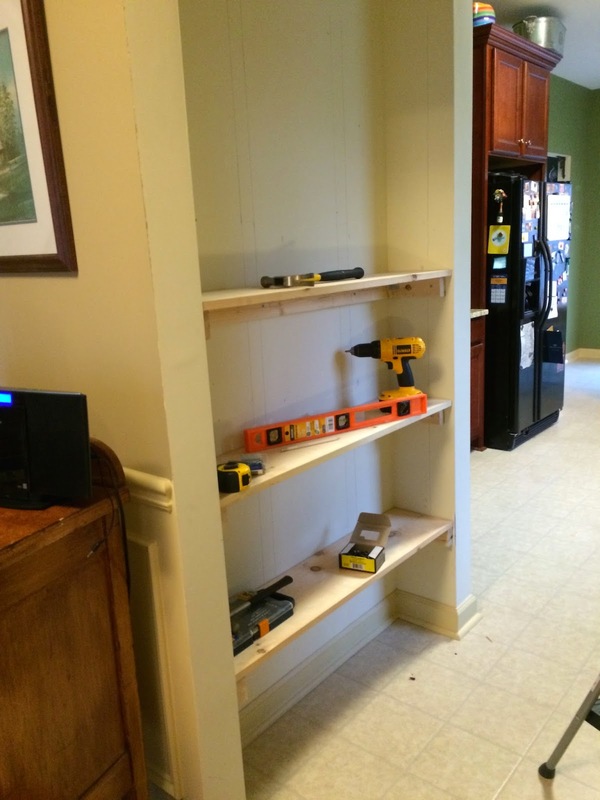 I did not feel like drilling pilot holes & switching bits over & over. I was tired. 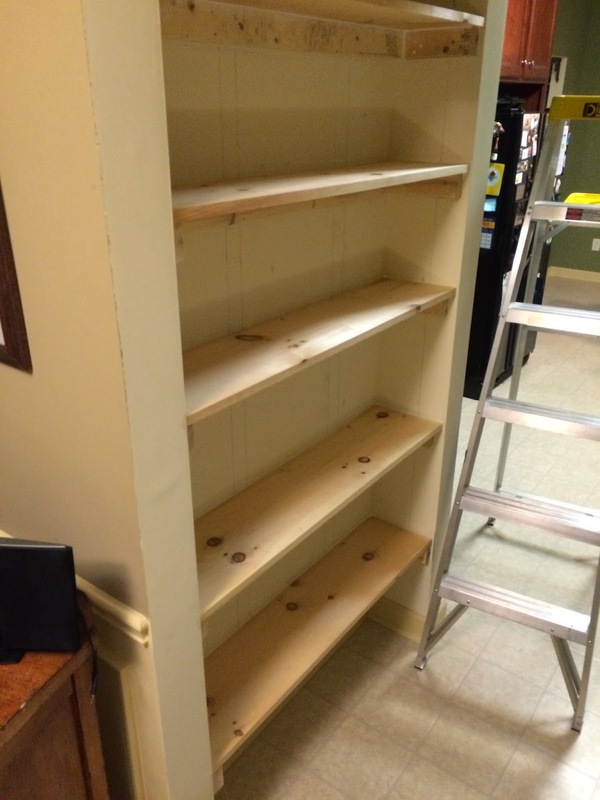 Each shelf install was faster than the one before it. 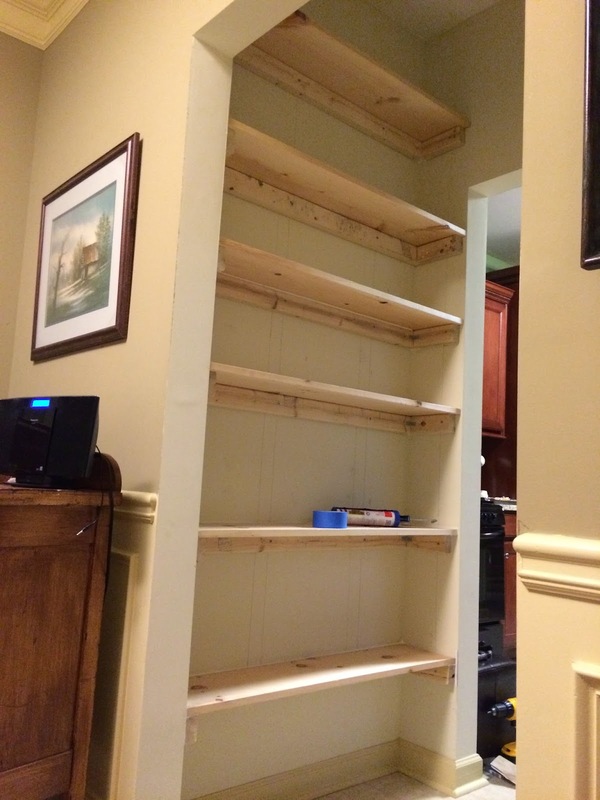 After a solid 6 hours, all the shelves were up. 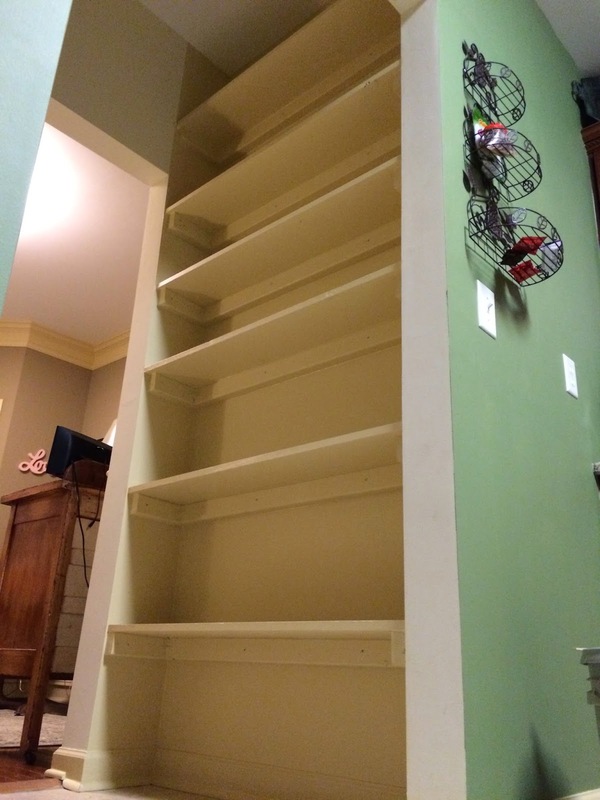 The bottom two shelves are each 16 inches high, then two 12 inch shelves, and finally two 16 inch shelves at the top. I was very pleased at this point, even though they weren't finished. I used some all-purpose paintable caulk & I caulked every seam. I finished caulking & gave it time to dry. 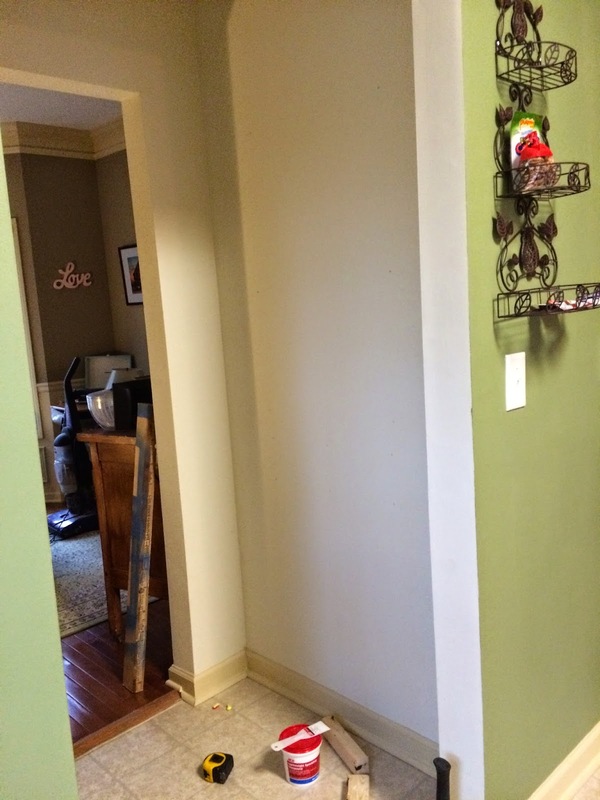 During this time, I drew my dividing line on the wall between trim color & wall color. You can (sort of) see the line in the picture below (top right). 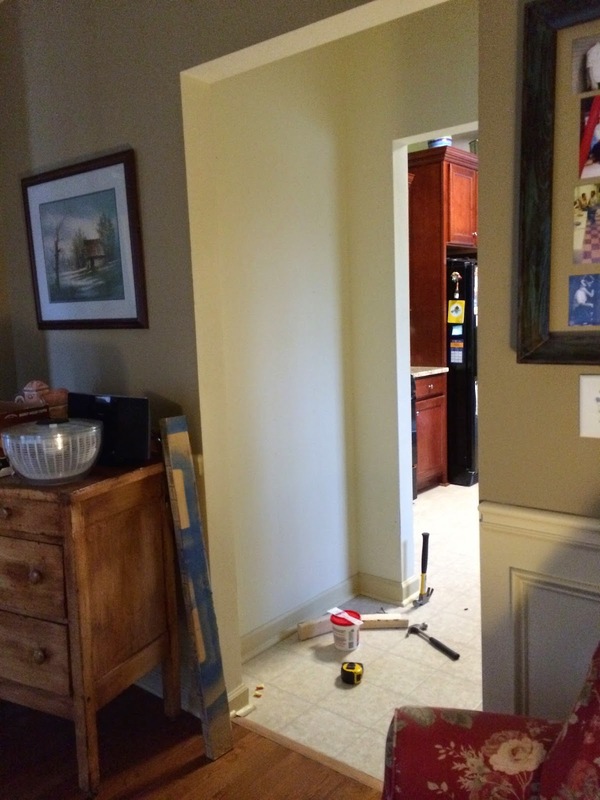 The trim throughout our home is an off-white color (Behr color Rich Cream). 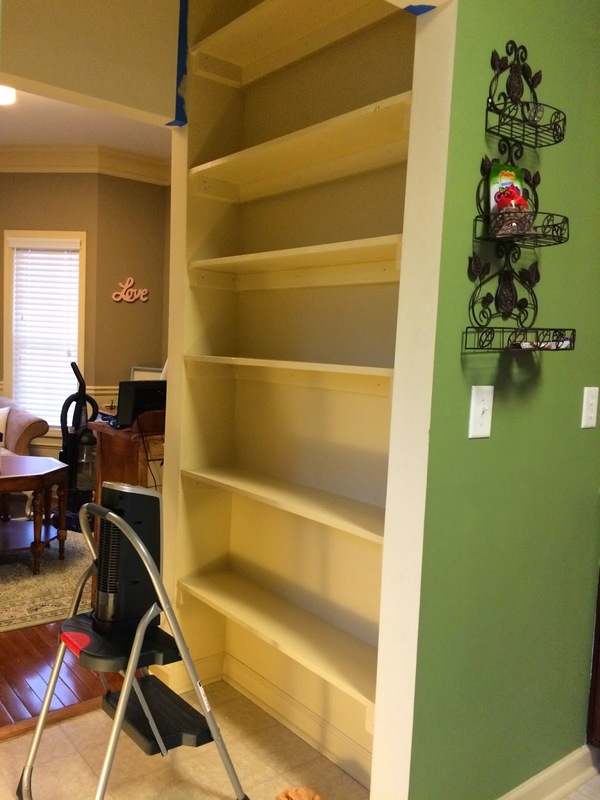 To give the shelves a built in look, I used the trim color to paint the shelves & wall from floor to ceiling. I used painter's tape to keep the line clean. Finally done! I was in pantry heaven! It took all weekend, but it was worth it and I love the results. I'll check back later & post some pictures of what they look like with stuff on them.